All-in-one deep acting treatment and shampoo for oily or devitalized scalps. Cleanses and stimulates the hair and scalp while vitamins and plant extracts work together to bring vitality, shine and volume back to hair. I received this as a gift and it worked wonders on my hair. I like Huile de Germe de Blé in combination with Concentre Energetique (mixed together 1:1) applied on a dry unwashed scalp. While doing this wonderful deep-cleansing treatment for my hair roots, I use another favorite from Leonor Greyl – Masque Quintessence on the length. Leaving all concoction for an hour or so and washing it- and I have beautiful results: very clean scalp and strong, yet soft and manageable hair. I truly enjoy this ritual and even more the results of it. 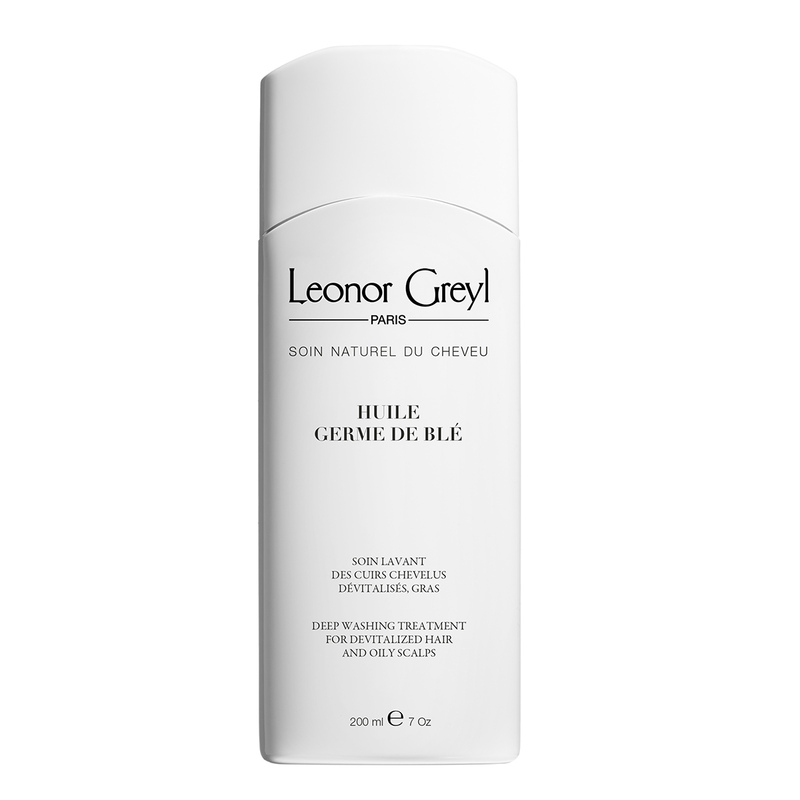 Leonor Greyl’s very first product was Huile de Germe de Blé, released in 1968, which immediately set the tone, showcasing the brand’s haircare expertise. In those days, suggesting an oil as a way of rebalancing oily scalps was an avant-garde, almost counter-intuitive idea. Yet oils are the best way of gently eliminating excess sebum. Jean-Marie Greyl chose wheatgerm extracts and oil for their regenerating properties, combined with scalp-nourishing jojoba and avocado oils. The concept of “healthy and glamorous hair using natural products” was born. This unique product with instant, lasting results was initially used exclusively on Leonor Institute clients and is now incorporated into treatment protocols around the world.